Pot Growers Have Realized They’re Pretty Awesome at Growing Vegetables,An “increasing number” are transitioning from marijuana to produce. Meet the 27-Year-Old Shishito-Pepper Baron of New YorkNoah Robbins is on a quest to change the way we eat by applying Silicon Valley-like data analysis to commercial farming. Have You Eaten Your Last Avocado?The ubiquitous — and endangered — food may soon be a luxury item. Farmers Accused of Selling ‘Extremely Offensive’ Eggs Respond WithA customer didn’t care for the “sexual innuendos” on the carton. Your Almond Consumption Is Killing California’s Salmon and HoneybeesThe nut’s unprecedented use has a few consequences. Are Fossil Fuels Making Our Food Less Nutritious?Staples like wheat lose protein when they grow in more carbon dioxide. Lollipop Kale Is the Best New Vegetable You’ve Never Heard OfThey taste like a combination of Brussels sprouts and kale and look like something Dr. Seuss would dream up — so why aren’t they on every menu in town? This Little Piggy Pays for CollegeFood & Swine. Applewood Owners Planting a Farm, Need Your DoughAlso in crowd-funding: Giant Donut looking to open in the EV. Snoop Dogg: Big Fan of Vegetables, WeedNote to farmers: Grow large crops and Snoop will get high with you. University of Delaware Adds Ice Cream to the Curriculum; U.S. Corn Harvest IsPlus: BYOB rules go on the ballot in Ocean City, N.J.; and Vice President Joe Biden helps boost the popularity of pig intestines in Beijing, all in our morning news roundup. Nuela’s Ambitious, Exhaustive Menu; a Guide to New York’s UrbanPlus: Hardneck garlic is in season. Wine Kiosks Are Coming to Philly This Fall; Jersey Peaches Arrive Sooner andPlus McDonald’s banks on beef-up beverage line for a better bottom line, and Chuck Schumer calls for crack down on malt beverages targeted at children all in our morning news roundup. 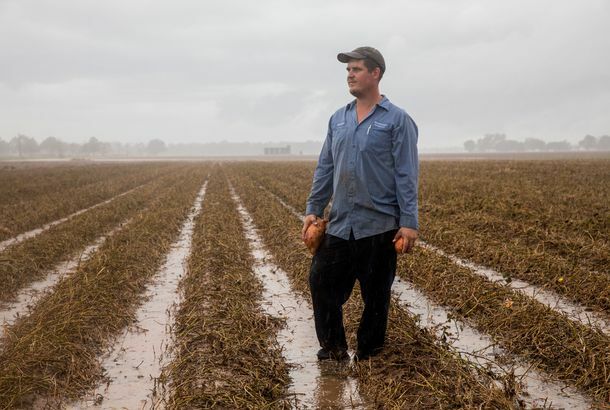 Weather Worries Farmers in PA and NJ; Living Close to Restaurants Makes PeoplePlus travelers are opting for culinary-themed vacations, and most locavore restaurants are hypocrites when it comes to wine, all in our morning news roundup. Supper Introduces Daily Harvest and Summer MenusThe new menus showcase farm-fresh ingredients. Restaurants Must Be Vewy, Vewy Quiet About RabbitWhy hasn’t eating rabbit caught on? Plus, a visit to a rabbit farm. Is Slate’s Takedown of Free-Range Pork Just a Bunch of Hogwash?A new Slate article about pig cruelty raises some serious concerns. About accuracy, that is. Keith McNally Knows How to SummerOh, you didn’t get invited to his Vineyard pig roast?